Ojakhuri is a popular type of Georgian family meal made with meat and fried potatoes. In a previous recipe we made it with pork. 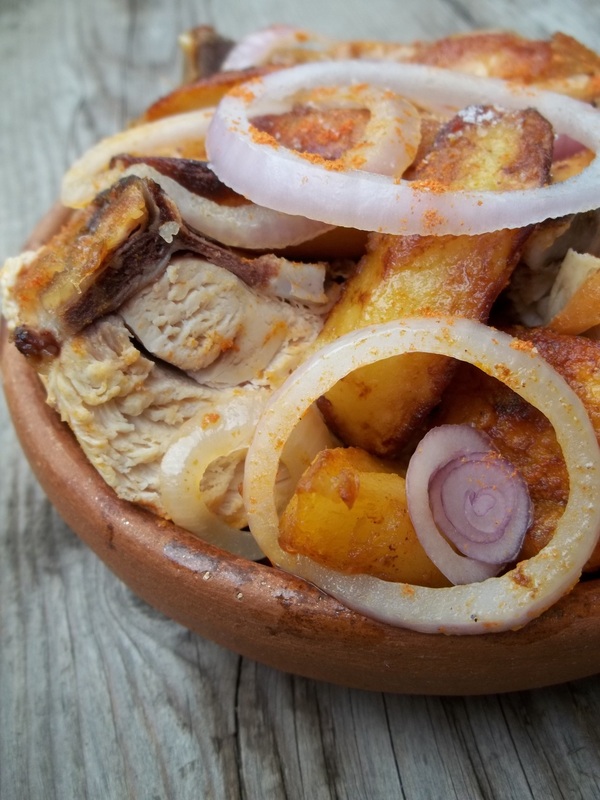 In this recipe we show how to make ojakhuri with chicken and fried potatoes flavored with marigold. Ingredients: 1 whole chicken, 700 grams of potatoes, 1 large onion, 1 tbs of dried marigold, 10 tbs of oil and salt (amount dependent upon personal preference). 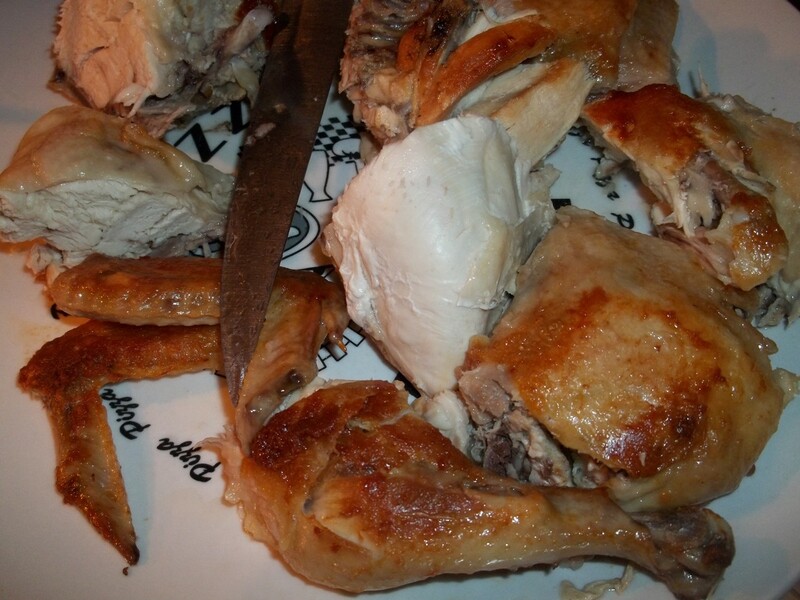 Preparation: Chicken: Cut the chicken length ways but do not separate into two halves. Rub oil and salt on to both sides of the chicken. Flatten the chicken out and add to a pan of hot oil and press it down. 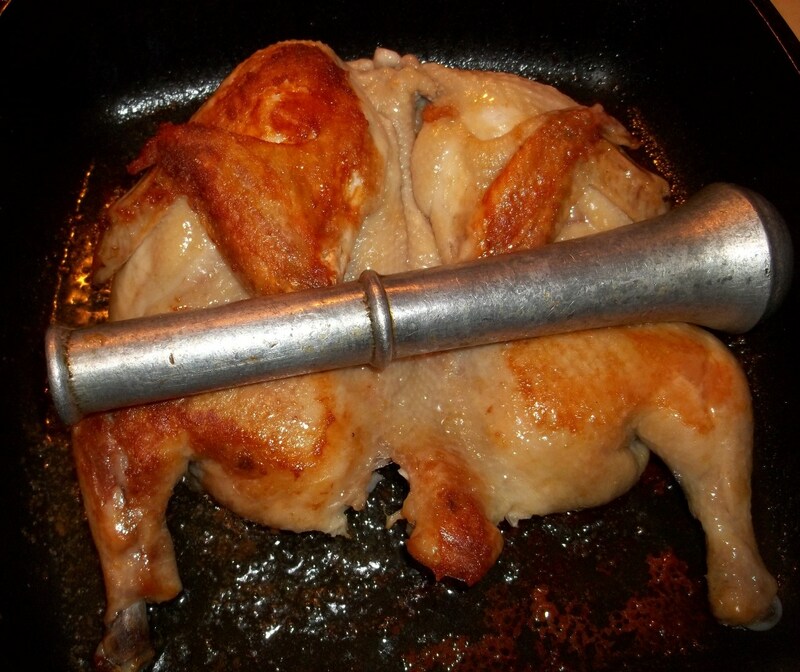 Use a pestle or any suitable heavy object to keep the chicken flat so that it cooks evenly. Fry both sides of the chicken. When the chicken is cooked, turn off the heat and remove the chicken from the pan and cut into pieces. 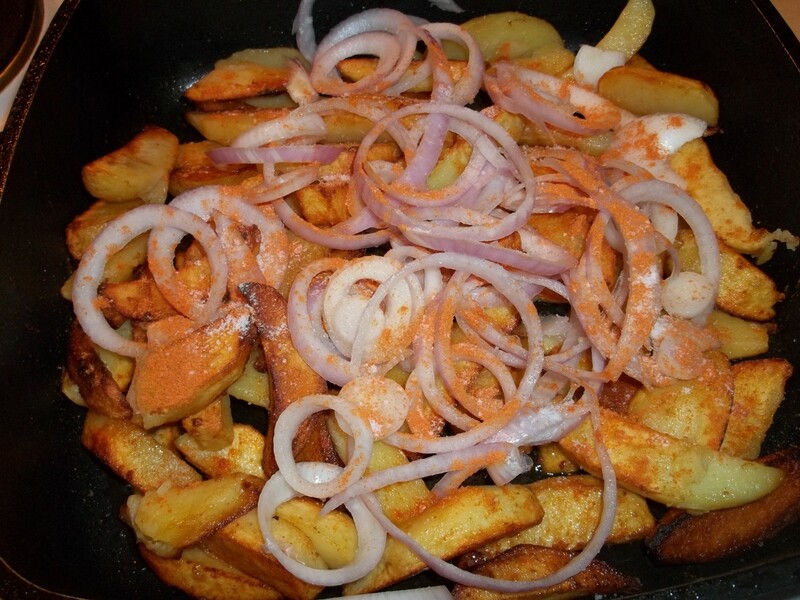 Do not discard the oil as it will be used to fry the potatoes. 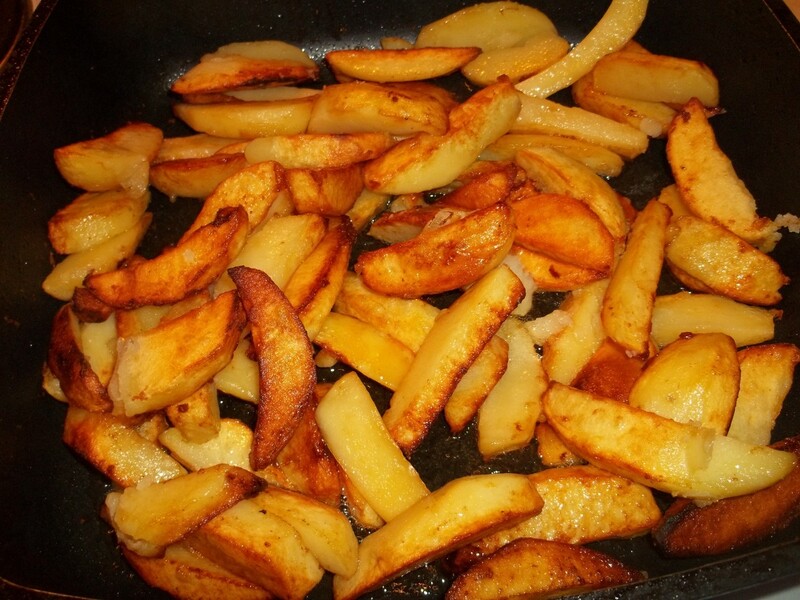 Cut the potatoes into chunky pieces. Add to the pan and fry (covered) on a high temperature for 12-15 minutes until golden brown and crispy. Chop the onion into thin slices and add to the fries. Sprinkle with half a tbs of dried marigold and salt (amount dependent upon personal preference) and stir. Reduce the temperature to a medium heat and continue to fry for 3-4 minutes. Add the chicken pieces. Sprinkle the chicken with half a tbs of dried marigold. Cover the pan and continue to fry for 2-3 minutes. Serving: Serve hot. We garnished ours with thin slices of raw onion. 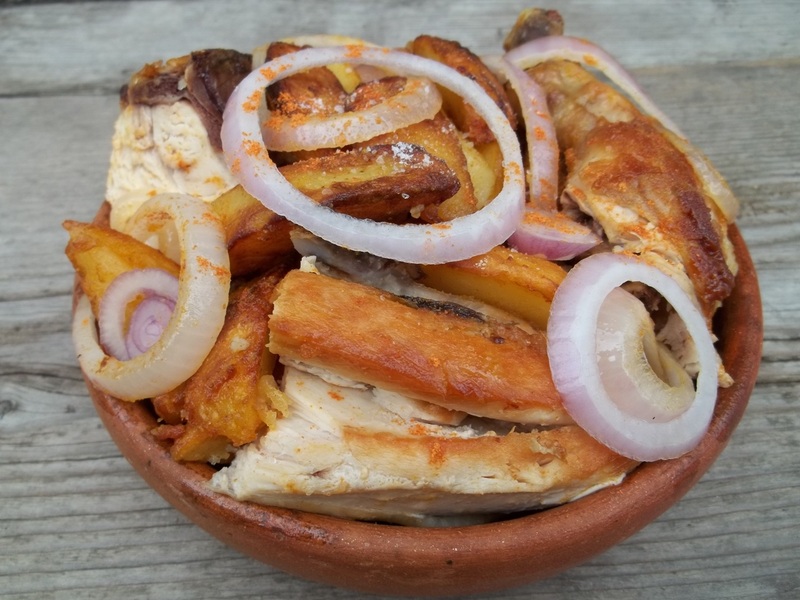 Enjoy your Ojakhuri with chicken and fried potatoes flavored with marigold!